What’s Poppin’ Tonight! 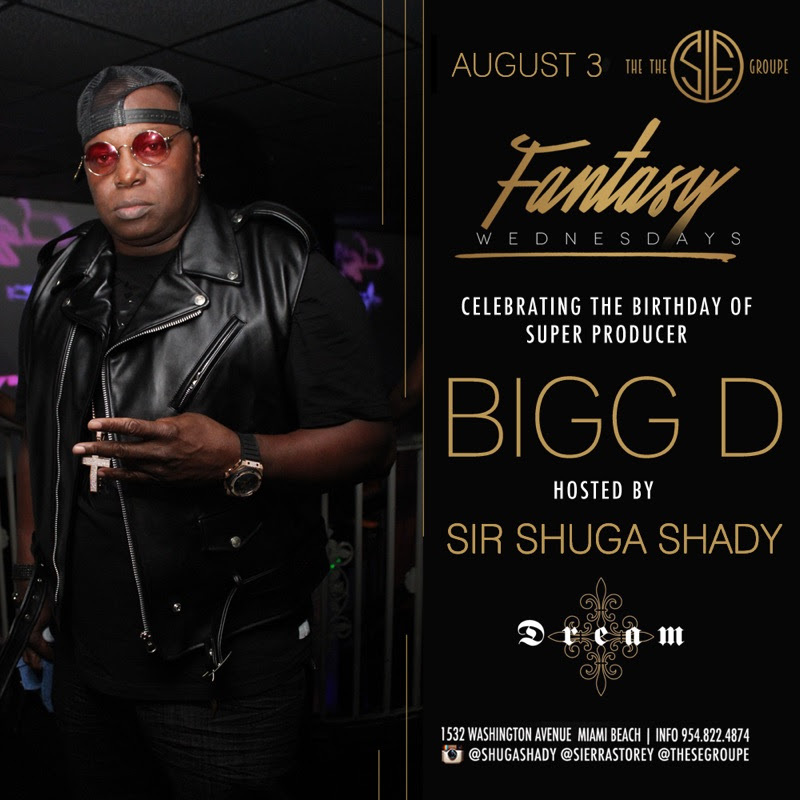 #FantasyWednesdays presents Ballers & Babes Edition ft. Super Producer Bigg D & Celebrity MUA Donovan Lamar BDay Bash at Dream Nightclub ~ Phresh Hott New! Tonight! The S/E Groupe presents Fantasy Wednesdays “The Only Place To Be On Wednesday Nights In Miami”! Fantasy Wednesdays presents Ballers and Babes Edition featuring Super Producer “Bigg D.” & Celebrity Makeup Artist Donovon Lamar Birthday Celebration at Dream Nightclub. Plus + More Fun!